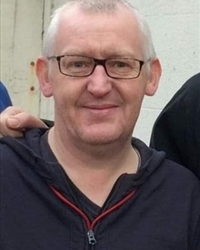 McKay (Ardglass) David RIP, Died 4th December 2018 peacefully in his sleep. Dearly beloved husband of Caroline and loving father to Maia, Lucy, Ryan and Sean. Dear brother to Harry and Richard and Cherished uncle to Kara, Finn, Luke and Sean. David’s remains will arrive at St Nicholas’s Church Ardglass on Thursday 6th December at 7 pm. Requiem Mass at 10am on Friday 7th December 2018. Interment afterwards in the adjoining cemetery. I am sorry to tell you that David McKay has passed away.